The earliest recognisable relative to tennis, as we know it, was "jeu de paume", played in 11th century France. Played in a monastery courtyard, the game used the walls and sloping roofs as part of the court and the palm of the hand to hit the ball. By the late 19th century, the popularity of lawn tennis had overtaken croquet in England. For this reason, the All England Croquet Club embraced the sport and designated certain croquet lawns to be used for tennis. It was this natural supply of venues combined with the already existing framework for a racquet game that resulted in the birth of the modern game in England. The first patented version of tennis, lawn tennis, was given the name Sphairistike. 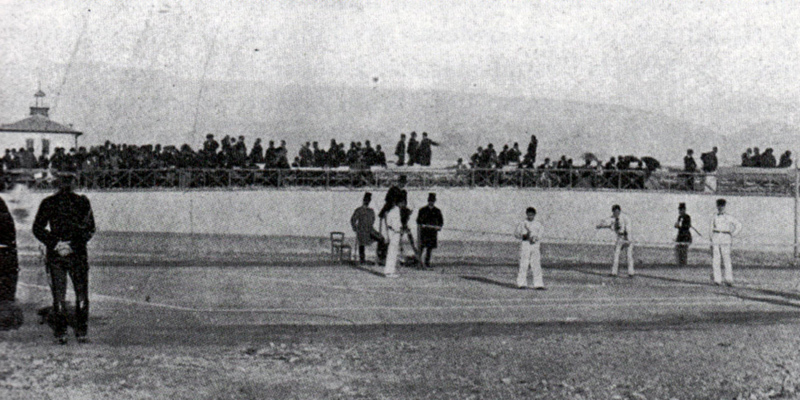 Rectangular courts were created in 1875 for Wimbledon. Originally, the court was an hour-glass shape. A tennis match takes approximately 2.5 hours. The ball is only in play for approximately 20 minutes of the 2.5 hours.